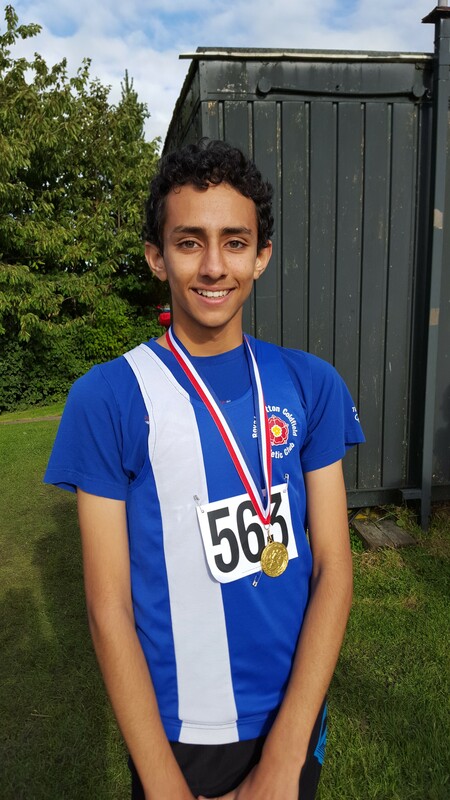 Finally, the results from the Telford Games. Some excellent performances from Royal Sutton athletes on what started as a wet and windy day, making conditions difficult for the younger athletes in particular. As is normally the case with this competition, standards were very high. 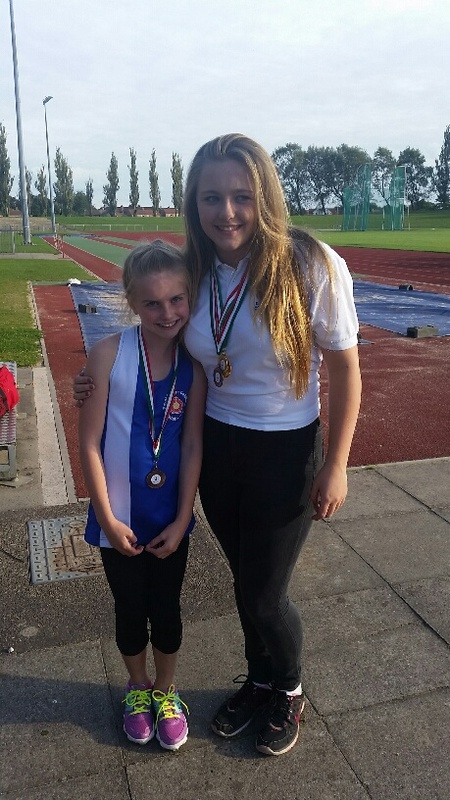 For the u 11 girls, Caitlin Ralph achieved a silver medal in both the 60 metres and Long Jump and 4th position in the 150 metres. An excellent performance in what was Caitlin’s second track competition. Zara Buchanan won a bronze medal in the Long Jump with a new PB and was 6th in the 60 metre final. In the u 17 men’s 100 metres both Ethan Brough and Cameron Kirkbride got through to the final, with Ethan running a new PB, in what proved to be a tough race. Both also ran well in the 200 m final. In the u 15 boys 100 m, Cameron Harris ran well but just missed out on a place in the final. Cameron also performed well in the 200 m final. In addition to the achievements already outlined in a previous report, Ryan Humphreys also achieved a new PB in the 80 m hurdles. Connor Race, Evan Pritchard and David Iliffe battled it out in the u 13 boys 100m, with Connor achieving a PB in both the heats and the final. Evan and Connor also ran in the 200 m, with Connor again achieving a new PB and a place in the final. Both David and Evan performed well in the Long Jump. Rachel Iliffe won a bronze medal with a new PB in the u 17 women’s triple jump and ran a new PB in the 100 metres final. Rachel also ran well in the 200 m. Hannah Smith set a new PB in the same race. Jenny Hopkinson ran well in both the u 15 girls 100 and 200 metres, reaching the final in both events. Madeleine Shay set a new PB in the 100 m.
Freya Liddington won bronze in u 13 girls Long Jump and set a new PB in the final of the 100 m.
Elsa Buchanan just missed out on a medal in the 800 m and Long Jump, achieving 4th place in both events. 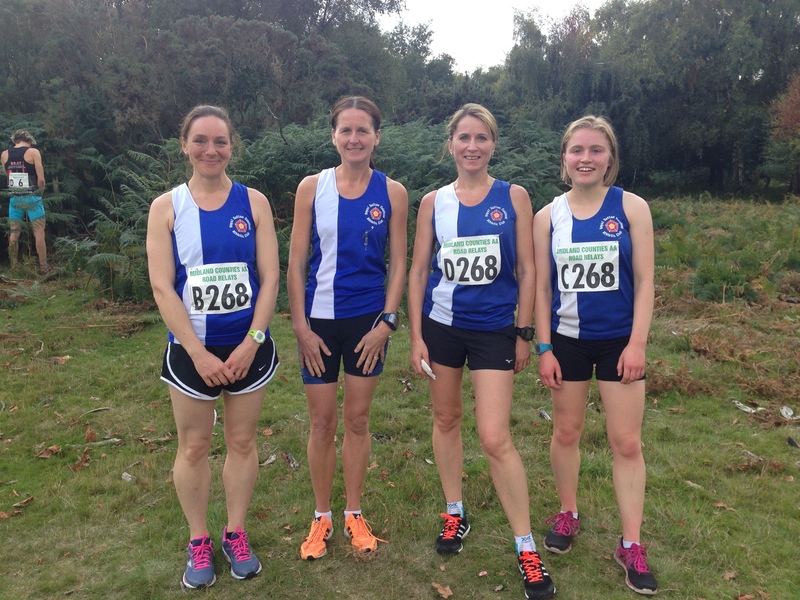 A date for the diaries – the Club AGM takes place on Tuesday 20 October in the Clubhouse after training. 2nd fastest time in the women’s race. Well done everyone!!! 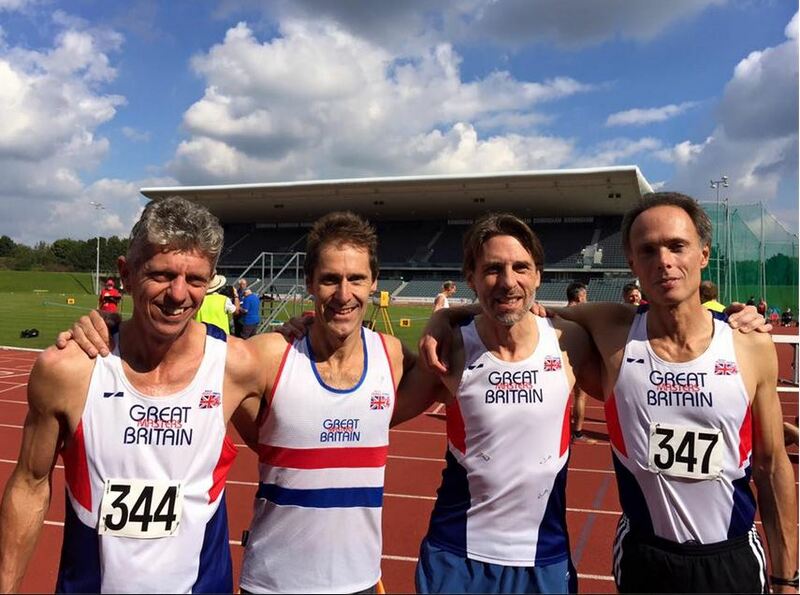 Hi Everyone, Just returned from Alexander Stadium where the GB Over 50 team recorded a time of 8.39.75 to set a new European and British record and narrowly missed out on the World record of 8.36.39 set by Canada in Toronto in 2012. Our Rob Andrew ran a super first leg and was well inside the old record schedule however due to injury there were changes to the original team and although the substitutes ran their hearts out they just missed out on the world record. Another attempt next year Rob? 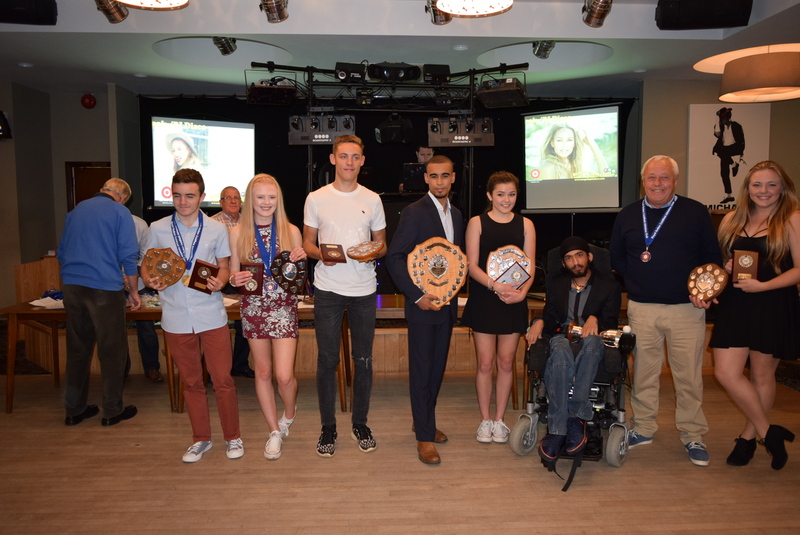 There is no training tonight (Friday) because of the Athletics Presentation Evening. Enjoy your night off! Kane Howitt had a day to dream of winning double gold over 100 and 200 metres, both with Electronically timed PB’s. 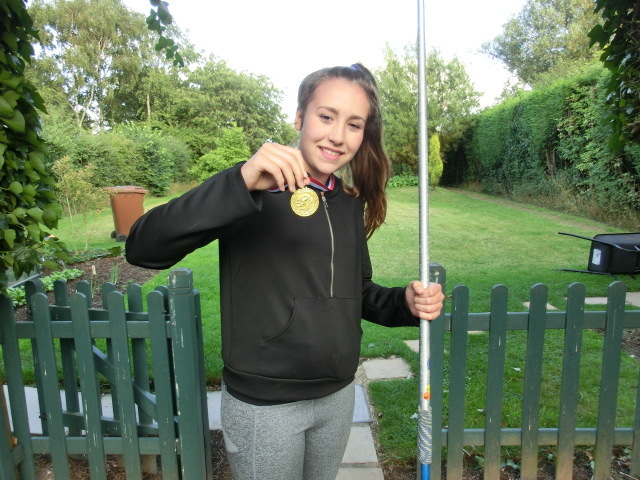 Jasmine Walker broke the club record with her first throw in the under-13 javelin competition with a throw of 27.50 metres. She extended this to 27.92 metres with her 3rd throw, winning the competition and strengthening her position at the top of the West Midland rankings. She also is now placed in the top twenty of the UK rankings. Ryan Humphries won gold in the High Jump taking his PB from 1.53 metres up to 1.60 metres. 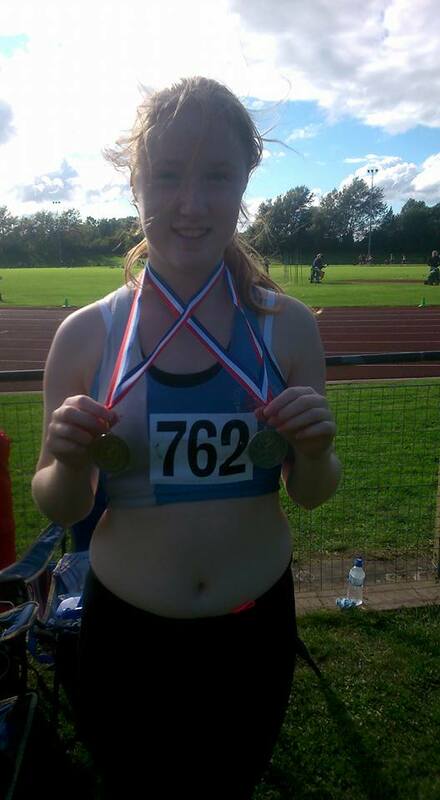 Hannah Smith won Silver in the U17 Discus with a new PB and Bronze in the Shot. 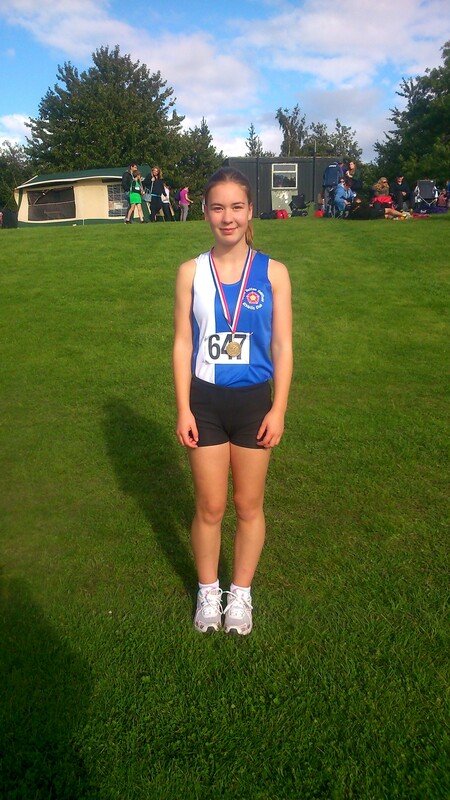 Anna Short won Bronze in the U15 Shot with a new PB.